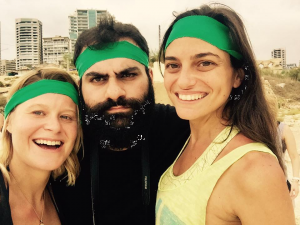 Take a career break, move to Lebanon, study Arabic – What? Why? you must be mad! Safe to say my decision was met by a certain degree of surprise and bemusement from both friends and family. For those not yet lucky enough to have visited, Lebanon conjures up images of civil war, chaos and conflict. Indeed, whenever reporters are seen in Beirut it is to discuss the latest atrocities in Syria or the worsening refugee crisis. 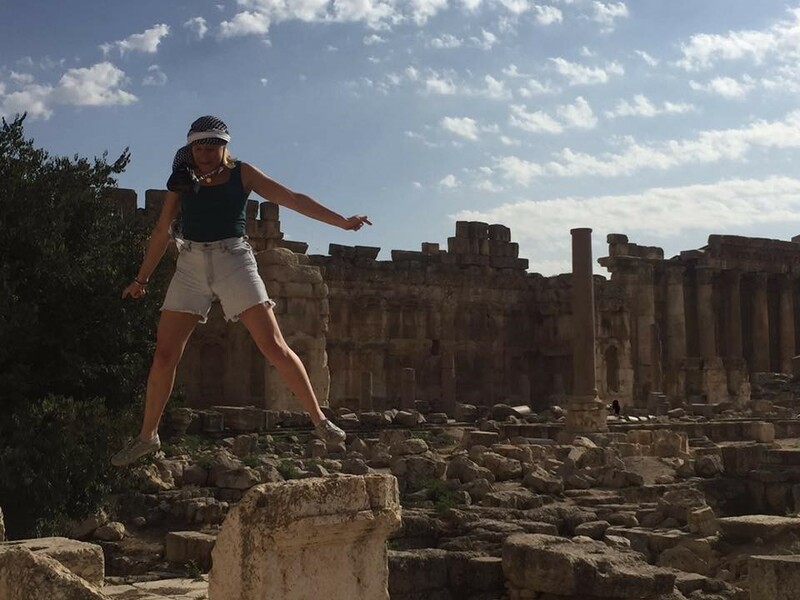 I was determined to discover another side to this ancient civilisation and travel beyond the media pages. Arabic is the official language of 22 countries from South West Asia to North West Africa and has numerous dialects. For any aspiring Arabist working out where to study poses a particular set of challenges; especially when considering the instability and security concerns of the Middle East. Syria had long been the destination of choice for university students or Foreign Office linguists, with Damascus the centre for Arabic learning. However, the prestigious language schools have been forced to shut down due to the ongoing Syrian Civil War. Levantine is one of the five major Arabic dialects and spoken in Syria, Lebanon, Palestine and Jordan. After thorough research, I chose to focus on the Levantine dialect due to its proximity to MSA (Modern Standard Arabic). Lebanon was to be my new home. The country is also currently the home of nearly two million Syrian refugees and a million Palestinian refugees. Thanks to the John Speak scholarship I had the opportunity to get to know these different communities, and through their dialects, their stories. 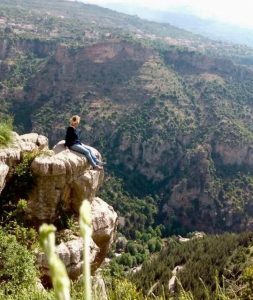 For the first part of my scholarship I volunteered at a school in the heart of the Lebanese mountains, a tiny village called Hasroun. Wherever one is in the world the mountains give a certain purity of air, purity of food, purity of culture and a purity of language. I would advise Arabic learners to spend time in smaller villages rather than the metropolis of a capital city. A gentler pace of life, I found villagers willing to show me around and, above all, pleased to share their culture and language. Lebanese food is world famous for a reason and the Middle East well known for its warm hospitality. I have never met such generous people so excited for me to try their local delicacies. On arriving, I immediately became part of the fabric of the village family. It made me reflect on the more transactional nature of London life and what we could learn from the Lebanese “ahla wa sahla”. I had a wonderful experience giving English classes to over 200 students! 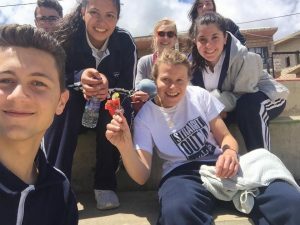 Teaching is a great way to improve a target language as well as being hugely rewarding. As the school children departed for the August holidays it was time too for me to say goodbye to my village and move on to a second volunteer project. Lebanon hosts the highest number of refugees in the world relative to the country’s population size. The ongoing civil war in Syria caused millions to flee and two million Syrians reside in Lebanon. Palestinian refugees have been forced to leave their homes as early as 1945. This puts a lot of pressure on Lebanese society and provisions from the government, NGOs and foreign governments are inadequate. Living conditions are poor, job opportunities rare and little hope for a better future. I volunteered in a Syrian camp with international aid organisation Caritas. A shelter for women and children, my role was to co-ordinate activities. 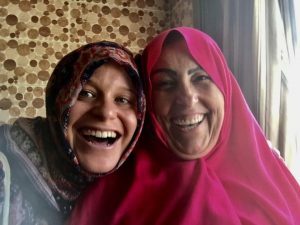 Our shelter was a safe space where vulnerable Syrian and Palestinian women could spend the day with their children and also talk about different aspects of their lives. We put on exercise classes in Arabic for the ladies (the heat to rival any hot yoga studio in East London!). Not forgetting the all-important cake and coffee break. Following our “work-out” the ladies seemed more relaxed and comfortable talking more candidly about the issues and hardships they faced. For the Syrian children: art classes and play time! The children were so excited for every class and loved the chance to have fun and to be mischievous; in essence, the chance to be children. Seeing children and parents having recently fled conflict with so little and yet so happy gave me a dose of perspective. With rising levels of depression amongst both adults and children in the United Kingdom I questioned what it is in life that gives us the energy to be positive. I too left the shelter each day with a rosier outlook. The refugee crisis can at times seem insurmountable but the smallest of gestures can make a difference, even if it’s just in that moment. Lebanon is an enchanting place to explore and get lost – ski in the morning, swim in the afternoon, celebrate in the evening – there is a hedonism to Lebanese life. Perhaps the only one constant, paradoxically, is the uncertainty. Nobody knows what will happen tomorrow, so why not make the most of today. I feel the Lebanese very much live by this maxim, as did I. Before leaving, I wanted to give something back to a country that enriched my life. I organised a fundraising evening in aid of a local charity Nawaya. Nawaya provides mentoring opportunities to young people from disadvantaged backgrounds. 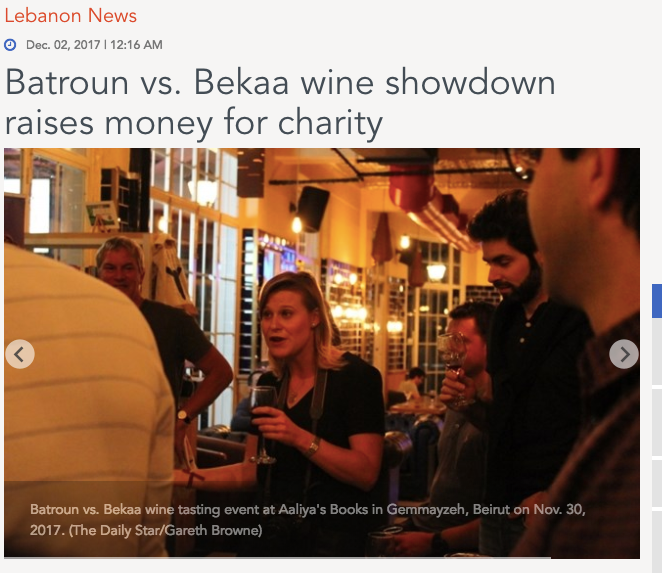 Lebanon has an ancient and rich wine culture dating back to Roman times – something to be celebrated – and thus my charity wine-tasting was born! Event organising is a wonderful way to improve a language as you have to engage different stakeholders. The event raised £1,500, friends I made over the year attended and it even got a mention in the national press! I am incredibly grateful for my scholarship with the John Speak Trust. It allowed me to enjoy the most rewarding and memorable experience of my life. Lebanon, its language and its people will always have a place in my heart. Learning Arabic is a journey, a passion; the Middle East alluringly complex, a life-long addiction. For anyone considering embarking on the journey I have just one word of encouragement: YALLAH. Because this journey is to change the very direction of your life and is to question everything that came before it.